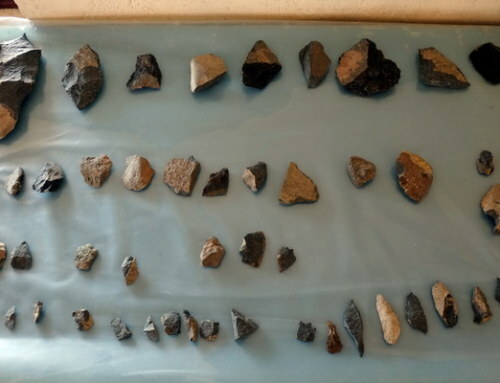 A major aspect and problem of archaeological work is the preservation of sites. Archaeological sites are prone to natural forces such as weathering along with human acts such as robbery and vandalism. 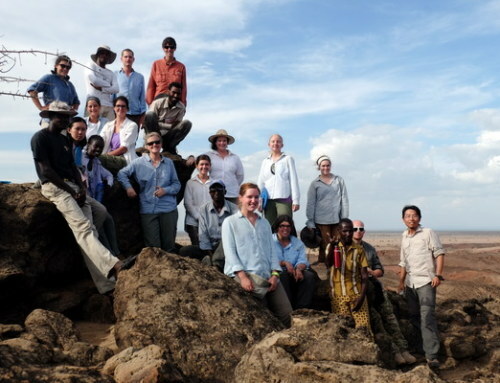 To understand the problems facing current archaeological sites, the Origins Field School students participated in a cultural management project, where they not only spent the day in Lodwar touring historical sites, but also came up with proposals on how to preserve the sites. 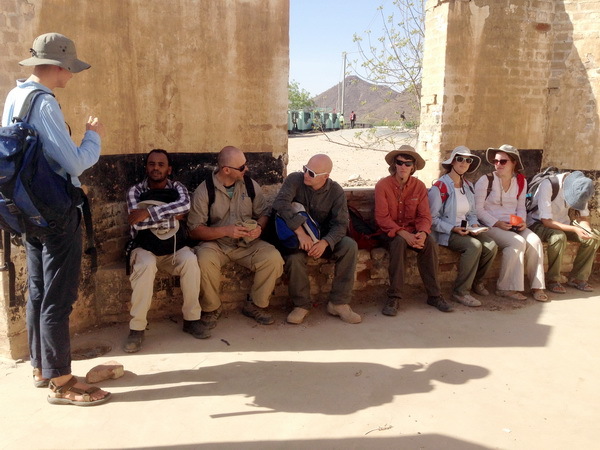 To aid us in the history of the archaeological sites in Lodwar, the Origins Field School was joined by Justus Edung of the National Museums of Kenya who is curator of our first stop, the Kenyatta house. 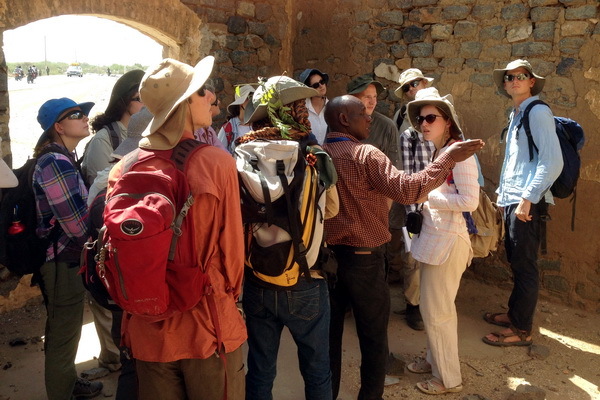 Justus Edung showing a group of students the Kenyatta House site. Photo credit Deming Yang. The Kenyatta House is a national monument of Kenya and was the site in which Jomo Kenyatta, Kenya’s first president of the Republic of Kenya, was detained in the early 1960s; a period of time where British colonialists and Kenyans clashed over Kenya’s independence. Students approaching the Kenyatta House. Photo credit Deming Yang. The Kenyatta house team was composed of Esther, Leah, Tom, Yishan, and Goitom. 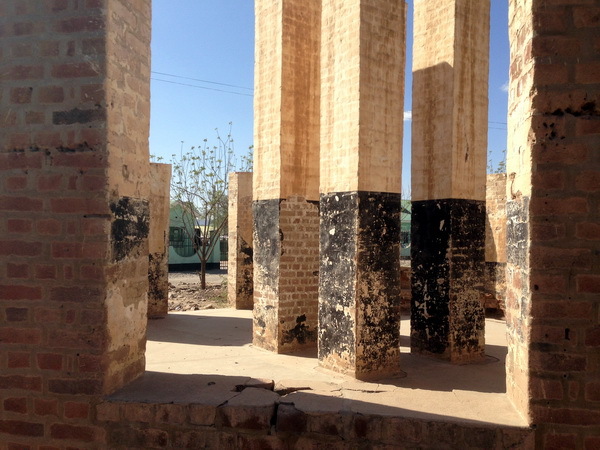 To manage and preserve this site, this team focused mainly on renovating the buildings on the site along with involving the local community in the restoration of the site. 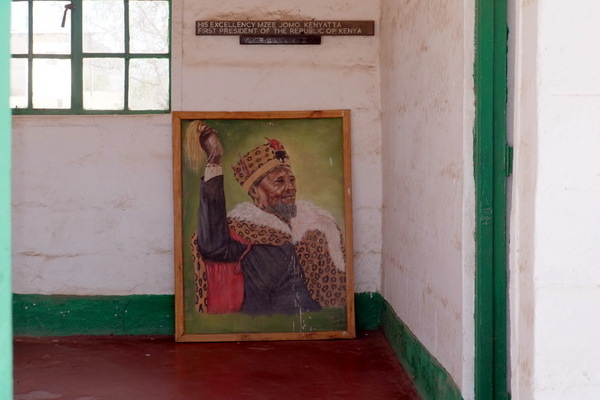 To conserve money, one idea of the Kenyatta House team was to reuse signs and pictures that were already featured at the site, including this one of Jomo Kenyatta. Photo credit Deming Yang. A building associated with the Kenyatta House site that is in desperate need of restoration. Photo credit Deming Yang. In addition, the Kenyatta House team also suggested the use of local radio stations and billboards to promote awareness and importance of the site. 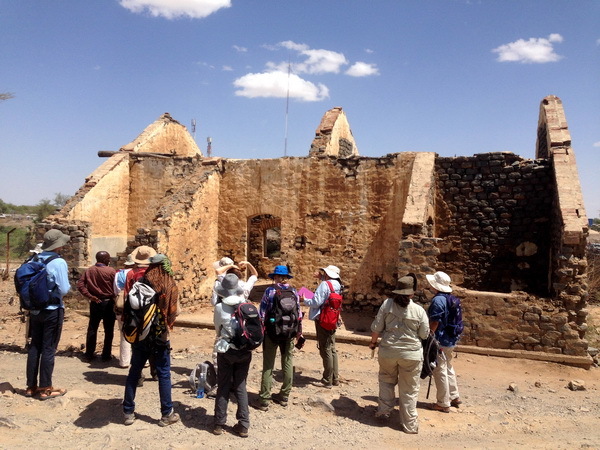 Also, they want to promote education and community involvement in the site by hiring local people to work at the renovated site and invite nearby schools to come and learn about the historical events that lead to Kenya’s freedom that revolve around this site. 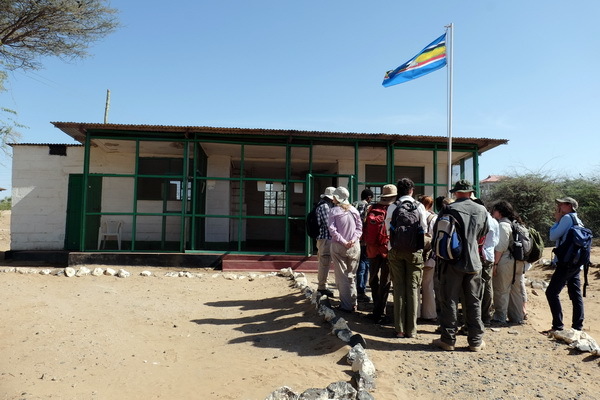 Our second stop was at the River House, a post British colonialism building located right on the Turkwel River. Students observing the River House from the outside. Photo credit Deming Yang. The River House team composed of Izzy, Felix, Yared, Selby and Andrew, were faced with a proposal that not only needed to include a plan for restoration, but also a plan to figure out what this house was used for! 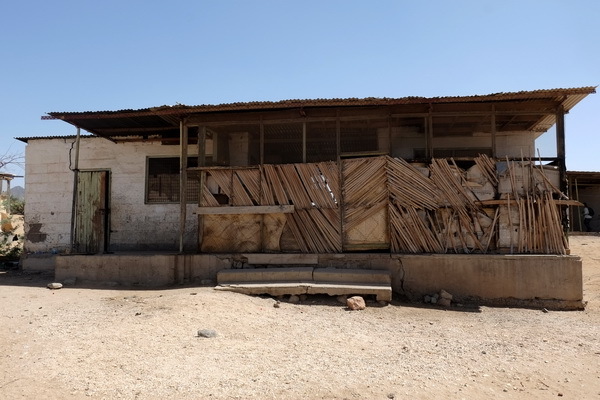 As of right now, all that is known about the River House was that it was constructed by prisoners to serve as a house for the people that worked in Turkana county court. To broaden what is known about this site, the River House team would allocate funding to hiring an individual to aid in archive searches along with conducting interviews with locals that may remember what the site was used for. Justus talks to the Origins Field School students from inside the River House. Photo credit Deming Yang. The mysterious River House. 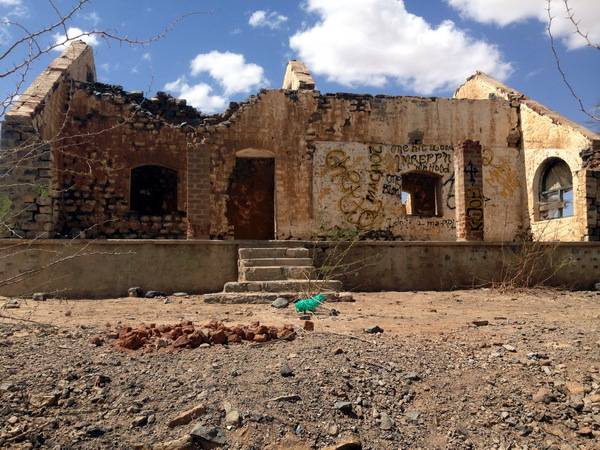 The state of the building shows the desperate need for preservation of these sites in Turkana County. Photo credit Deming Yang. Our last stop of the day was at a site called the Tribal Court. This Turkana court operated from 1941-1969 and thus can provide insight into the development of the local legal system both under British colonial rule and after Kenya’s independence. The Tribal Court. Photo credit Deming Yang. The Tribal Courts team was comprised of Amanda, Nicole, Maria, Jessica and Charlie. Their plan, while including the restoration of the court itself, also included a large educational component. Once the Tribal Courts can be renovated, they proposed that the site should hold mock trials, where famous tribal court cases will be reenacted for the public. 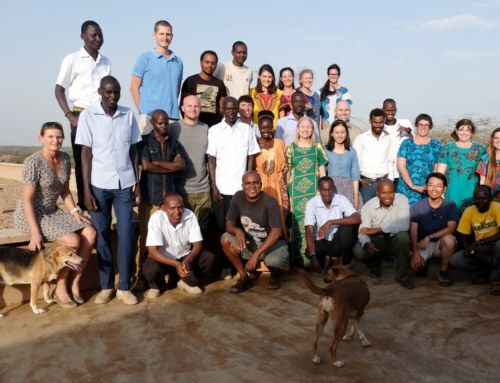 They are hoping to draw in both university law students and local individuals to help run these reenactments and allow for the people of Turkana to learn about their own judicial history along with promoting the educational value of this site within universities. 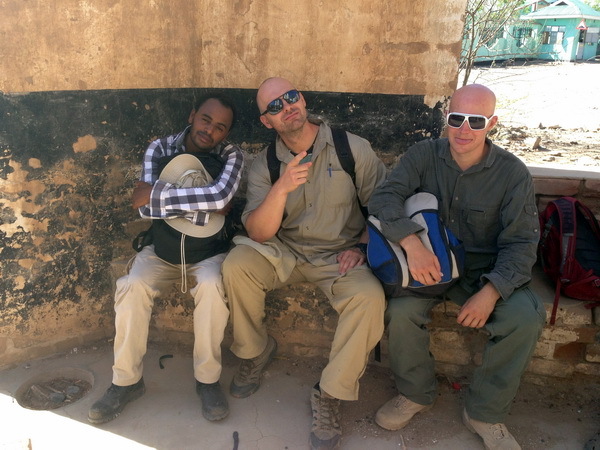 Yared, Tom and Felix sitting in the Tribal Court. What trouble did they get into now? Photo credit Deming Yang. Students take a rest in the Tribal Court. Photo credit Deming Yang. 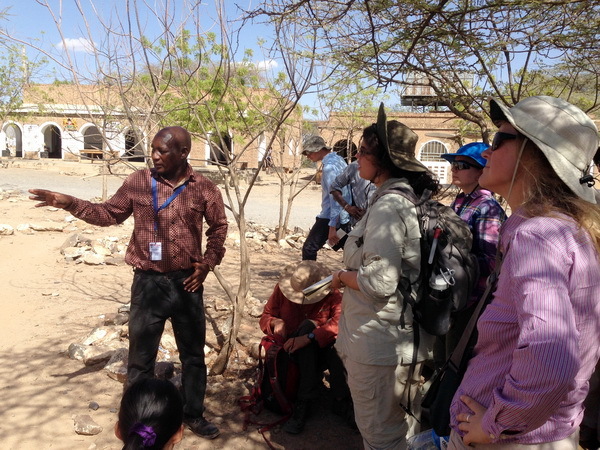 Overall we had a fun and educational day in Lodwar. 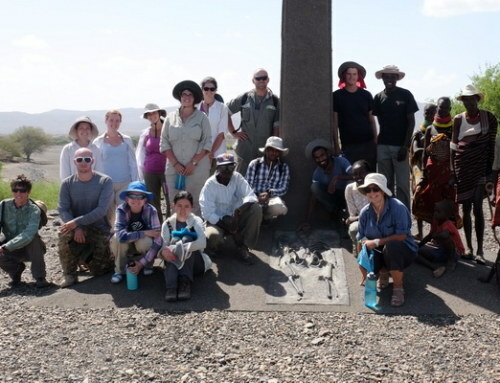 We would like to thank Justus Edung for spending the day with the Origins Field School and for giving us an insightful tour of all three sites. Our students learned the importance of preserving archaeological sites and how this may not always be such an easy task.